Shield-tailed snakes (family Uropeltidae) are poorly studied, fossorial snakes endemic to montane regions of peninsular India & Sri Lanka. Together with the families Cylindrophiidae (14 species) and Anomochilidae (3 species) they make up the superfamily Uropeltoidea, which is named for them because they are the most diverse subgroup, with 55 species in 8 genera (9 until recently, more below). Most phylogenetic studies suggest that Uropeltoidea is the sister group to Pythonoidea, although these two lineages share only a few obvious features and likely diverged at least 60 and possibly up to 85 million years ago. If it's true, this relationship is pretty interesting because it means that the familiar giant pythons are more closely related to the ~18" long burrowing uropeltoids than they are to their most obvious ecological analogues, the giant Neotropical boas. 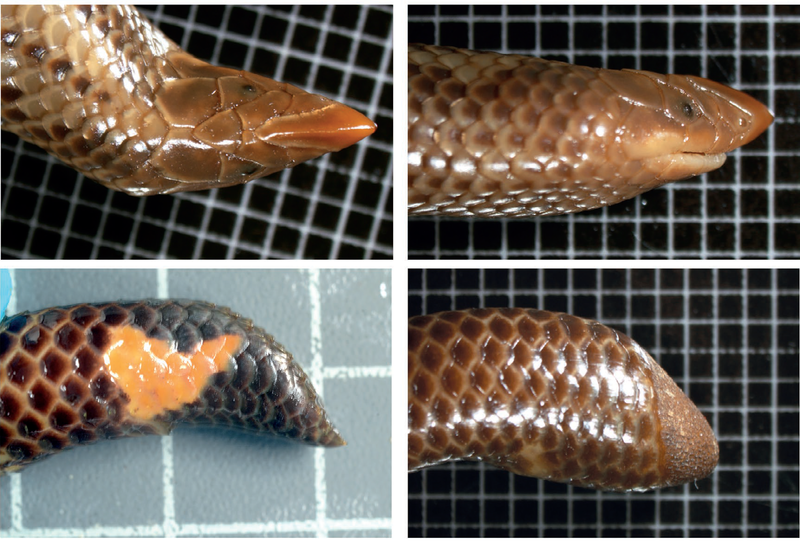 However, this kind of relationship is not unprecedented: the emerging picture of henophidian taxonomy is that constriction and large gape size have evolved at least three or four times within snakes, a good example being the sister relationship now widely accepted between the "pipesnake" family Aniliidae and the "dwarf boa" family Tropidophiidae (the "Amerophidia"), both of which were formerly considered members of the Uropeltoidea. Even some species of Cylindrophis (and, possibly, Anilius) immobilize their prey with their coils, although they have small gapes. 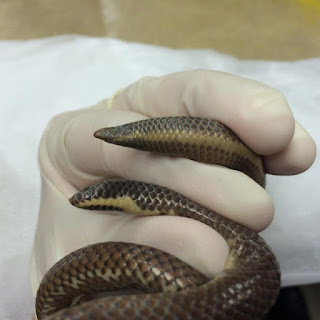 Uropeltids are the Darwin's Finches of snakes. They have radiated spectacularly across an archipelago of "sky islands", reaching their highest diversity and endemism in the mountain ranges of India's southern tip. These volcanic mountains run parallel to the coast, creating a rain shadow of dry plains to the east and generating torrential rainfall within their hills as trade winds blow monsoonally wet air northeast from the Arabian Sea. Known as the Great Escarpment of India, these mountains are an ancient coastline, formed during the break-up of the supercontinent Gondwana some 150 million years ago. 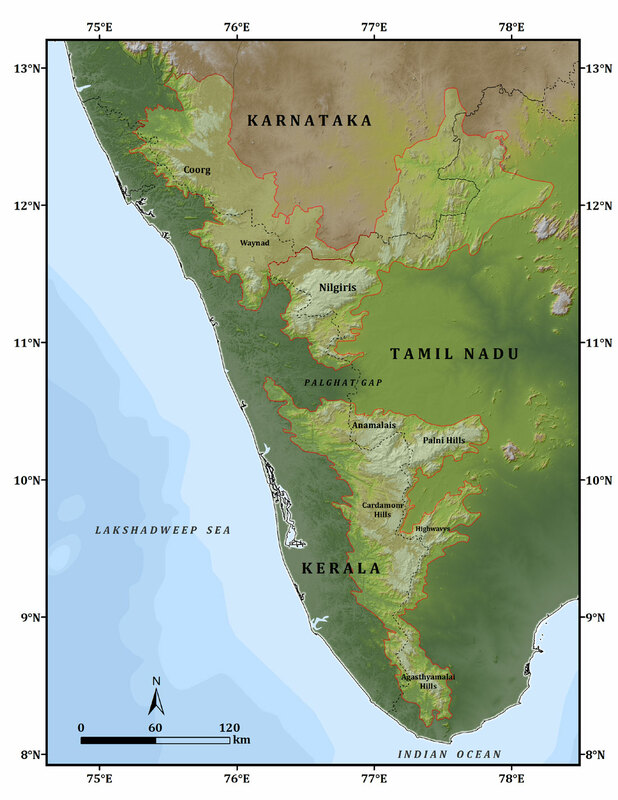 Uropeltids are especially diverse in the high, wet 'shola' forests of the Anai Malai Hills (also known as the Elephant Hills), but are also highly diverse in the the Pothigai (Agasthyar Malai), Nilgiri, and Cardamom Hills, as well as the northern and central Western Ghats, the Eastern Ghats, and on Sri Lanka. Many of these mountain ranges are part of the UNESCO World Network of Heritage Sites and are among the "hottest hot-spots" of biological diversity in the world. They're home to the world's largest wild population of Indian Elephants, the second largest wild tiger population, and even more critically-endangered, endemic mammals such as Nilgiri tahr and Malabar large-spotted civets. 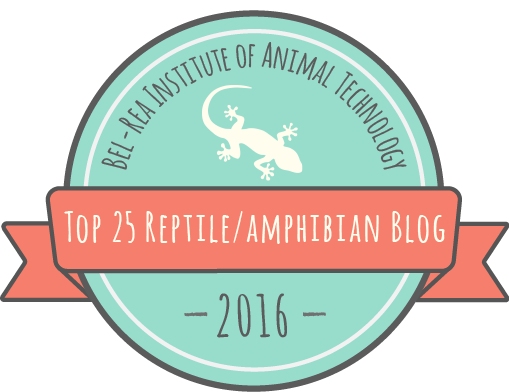 Sixty-five percent of reptile species in this area are found nowhere else. In addition to uropeltids, the Ghats are home to diverse radiations of endemic freshwater crabs and shrimps, minnows and carps, tree frogs, and caecilians. Other endemic reptiles include the cane turtle (Vijayachelys silvatica) and travancore tortoise (Indotestudo travancorica), two genera of skinks (Ristella and Kaestlea), spiny tree lizards (genus Salea), and wood snakes (genus Xylophis, also named by Beddome, which were thought to be xenodermids but from which we have just recently obtained the first DNA sequences, placing at least one species with pareids and another with natricines). Besides Xylophis and uropeltids, there are at least 29 other species of endemic snakes, ranging from blindsnakes to sand boas, vine snakes, coral snakes, and vipers. Heads and tails of uropeltids. 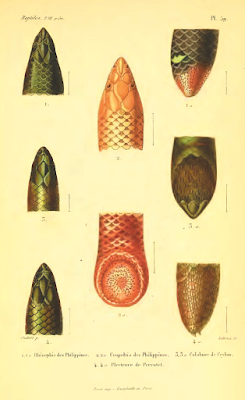 of Rhinophis punctatus (top left [top] and top right [side]). 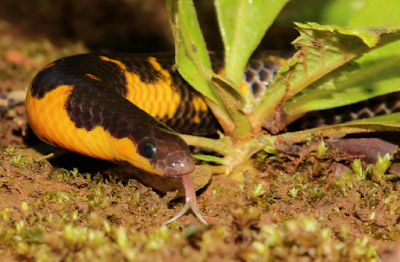 Uropeltids are supremely adapted for burrowing, perhaps more so than any other snake. They construct a network of burrows during the rainy season, when the soil is soft, and wander through them after they harden. They can dig as deep as two meters and for extended periods of time. They have stout, relatively lizard-like skulls with few teeth, and conical, slender heads that are much narrower than their thick bodies. The eyes of some species are protected by polygonal scales. 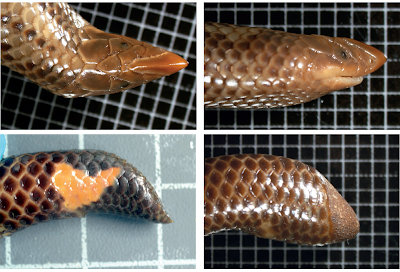 Rhinophis and some Uropeltis have keeled, blade-like rostral scales that give the head a distinct pointed appearance. Uropeltids have narrow ventral scales similar to their dorsal scales, and short, blunt, often shield-like tails, from which they get their common name. Uropeltid tail morphology ranges from relatively normal (in Brachyophidium, Platyplectrurus, and Teretrurus) or somewhat compressed with a multi-pointed scute on the end (in Melanophidium, Plectrurus, and Pseudoplectrurus), through decidedly unusual, including tails terminating in a projecting, rugose, keratinous disc (in Rhinophis and Pseudotyphlops), to the classic, highly modified “shield” tail of some Uropeltis, in which the body appears to have been sliced off at a ~45° angle, leaving a flattened disc covered with rugose scales. However, the real specializations for burrowing are hidden within. Firstly, the heads of uropeltids are battering rams that are used against the soil. 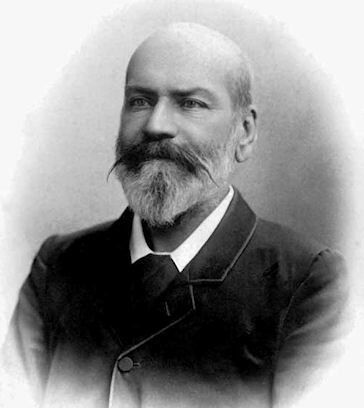 They are the only amniotes whose skulls are supported at the base by two vertebrae: that is, both the first and second vertebra (the human atlas and axis) articulate directly with the occipital condyle at the base of the skull. Furthermore, their braincases are reinforced and many other skull bones are strong and stout, especially for a snake. The anatomy and physiology of the anterior third of a uropeltid's body is adapted for driving this strong head forward into the soil. The muscles along the anterior portion of the trunk are large, thick, deep red, and rich in myoglobin, catalytic enzymes, and mitochondria, all biochemical or cellular adaptations that permit sustained activity. These muscles are loosely attached to the rest of the body, so they can simultaneously push the sides of the body against the tunnel walls and move the head forward, without pushing the rest of their bodies backwards. 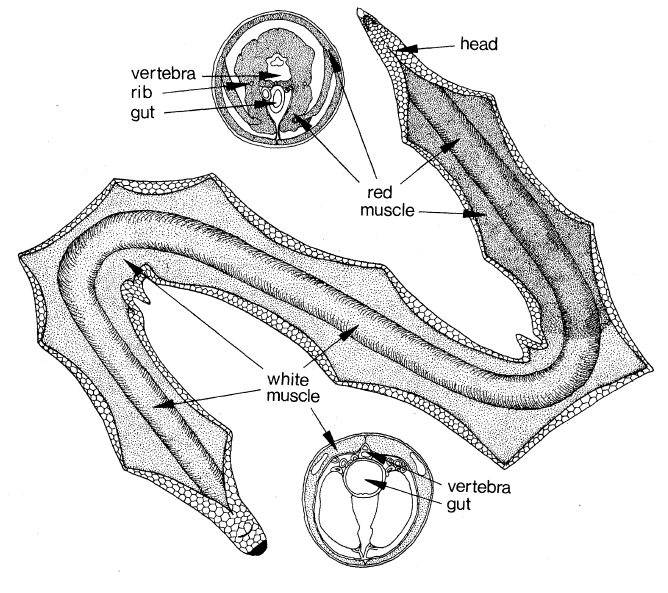 To accomplish this, muscles in the posterior body squeeze the anterior vertebral column into a sequence of hairpin turns, not unlike those formed in the vertebrae of large, elongate prey when they are eaten by snakes.3 Because the tip of the nose creates a narrow burrow that is later widened by the flexing of the body, uropeltids can burrow effectively among rocks and roots.4 Like a freight train, the anterior fifth of the body is like a locomotive in that it contains almost all of the propulsive machinery, and pulls along behind it the mostly-inert posterior trunk like the other train cars, containing viscera, embryos, food, etc., all protected on the end by a caboose-like caudal shield. You can get some idea of how it works in this video (compare the forceful muscle contractions here with how the rest of the body is simply dragged underground here). Schematic diagram of a uropeltid burrowing, from Gans et al. 1978.
extending the tunnel forward. The widened body narrows as the spine uncurves. is pulled along without doing any work or needing to resist any force. This division of labor is similar to that seen in some caecilians, which burrow in a similar way and thereby create tunnels that are wider than their bodies. And, unlike scolecophidians and amphisbaenians5, they can burrow without pushing against their tails, which leads to the question of what exactly their weird, shield-like tails are for, if not being pushed against? It is thought that the function of these eponymous tails is to collect dirt as the snakes burrow, forming a "plug" that protects the snake from behind. The scale texture of the tail shield scales is deeply ridged, in sharp contrast to the texture of the body scales, which instead bear regular microstructure that inhibits wetting, sheds dirt, reduces friction, and produces iridescent colors. There is also evidence that the tail disc develops over the lifetime of some species, because juveniles do not have modified tails (although they do have large, deep red axial muscles like those of adults). A new phylogeny, the most comprehensive yet, nevertheless includes DNA from just five of the eight genera of uropeltids. The most diverse and well-known genera are Uropeltis and Rhinophis, containing 24 and 19 species respectively. These are also the most highly specialized for burrowing. Rhinophis is so bizarre that it was originally described as a subgenus of the legless lizard genus Anguis. In contrast, the smaller and more poorly-known genera Brachyophidium (1 species), Melanophidium (4 species), Platyplectrurus (2 species), Plectrurus (4 species), and Teretrurus (1 species) have less highly modified heads, tails, and body musculature. Apparently these species are unable to tunnel in dry grassland soils, instead remaining belowground until rain softens the soil. Although the 'shola' forests have been greatly reduced, in recent years many of the remnants have been protected. In contrast, the high-altitude grasslands favored by certain species have, like grasslands all over the world, been largely ignored from a conservation standpoint. A single species in an eighth genus, Pseudoplectrurus, is known only from the original specimens collected by Beddome in 1870, from atop the 6000' Mount Kudremukh. It seems that uropeltids first evolved in India at least 37 million years ago, and crossed only once onto Sri Lanka, an island with one of the most phylogenetically diverse snake faunas in the world, but which has maintained its distinctiveness from the Indian mainland despite several extended periods of land connection during the past 500,000 years. Unfortunately, we still know precious little about the ecology of uropeltids. Most species eat 80-90% earthworms, but they may snack upon the occasional earwigs, termites, or caterpillars. They are eaten by kraits (genus Bungarus) and vinesnakes (genus Ahaetulla), as well as wild boars, mongoose, owls, and galliform birds. They mate during the rainy season and females give birth to 3-9 live young at a time. Like many fossorial snakes, some species are brightly colored on the underside, especially on the tail and neck. These colors may send warning signals to predators, including possibly mimicking the coloration of some venomous kraits or centipedes. It's likely that a high amount of diversity remains to be described. If you want to read about the current state of our knowledge of uropeltid diversity and taxonomy, including outlines of the genus-level groups that are supported by molecular and morphological phylogenies, not to mention numerous color photographs, you can do so here. Thanks to Sara Ruane, Satyen Mehta, and M for the use of their photos, and to the Rare, Endangered and Threatened Plants of Southern Western Ghats database for sharing their beautiful map. Rajendran, M. 1985. Studies in uropeltid snakes. Madurai Kamaraj University, Madurai.